Fleas are small, wingless, blood-sucking insects that can cause many symptoms and/or diseases in dogs and cats. There are many species of fleas that can infest dogs and cats. They are contagious to humans and other animals as well. To view a video courtesy of the Companion Animal Parasite Council, click the image below. Flea allergy dermatitis is a condition which results from an allergic response to the saliva of the flea. It can manifest as mild skin irriation, variable itchiness, hair loss, or crusting. Flea-induced anemia can occur in dogs and cats with severe or long-standing infestations. Tapeworm infection occurs when fleas carrying infected tapeworm eggs are ingested during grooming. Bartonellosis, also known as cat scratch fever, can be transmitted by infected fleas and is zoonotic. Flea infestations are treatable and preventable. Many products are available for dogs and cats. Ticks are small, wingless, blood-sucking insects that can cause many symptoms and/or diseases in dogs and cats. There are many species of ticks that can infest dogs and cats. They are contagious to humans and other animals as well. 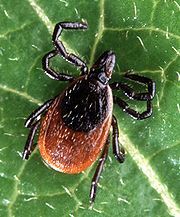 Dermacentor variabilis is known as the American Dog tick and is found in the eastern United States and from the Atlantic coast to the eastern sections of the plains states. There are sparse polulations along the Pacific coast as well. 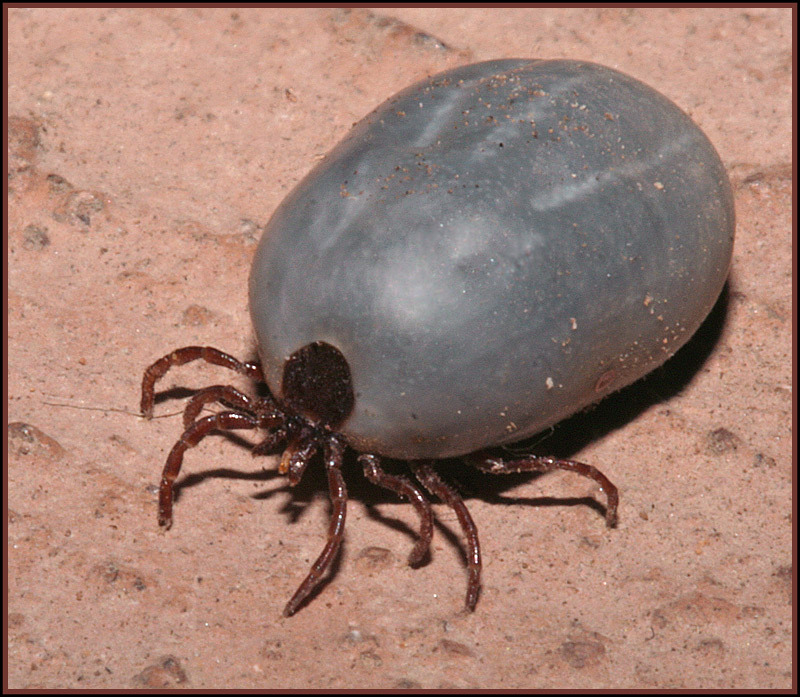 Dermacenter andersoni is known as the Rocky Mountain wood tick and is found in the Rocky Mountain states. Amblyomma americanum is known as the Lone Star tick and is found in the southern plains, Midwest, and eastern United States. Amblyomma maculatum is known as the Gulf Coast tick and is found in the Gulf Coast states, central/eastern Oklahoma, and central/eastern Kansas. Ixodes scapularis is known as the Black-Legged tick and is found in the eastern and central United States. Ixodes pacificus is known as the Western Black-Legged tick and is found on the Pacific coast and extends into parts of Arizona, Nevada, and Utah. Rhipicephalus sanguineus is known as the Brown Dog tick and is found throughout North America and Hawaii. Otobious megnini is known as the Spinous Ear tick and is found in the southwestern United states mostly. 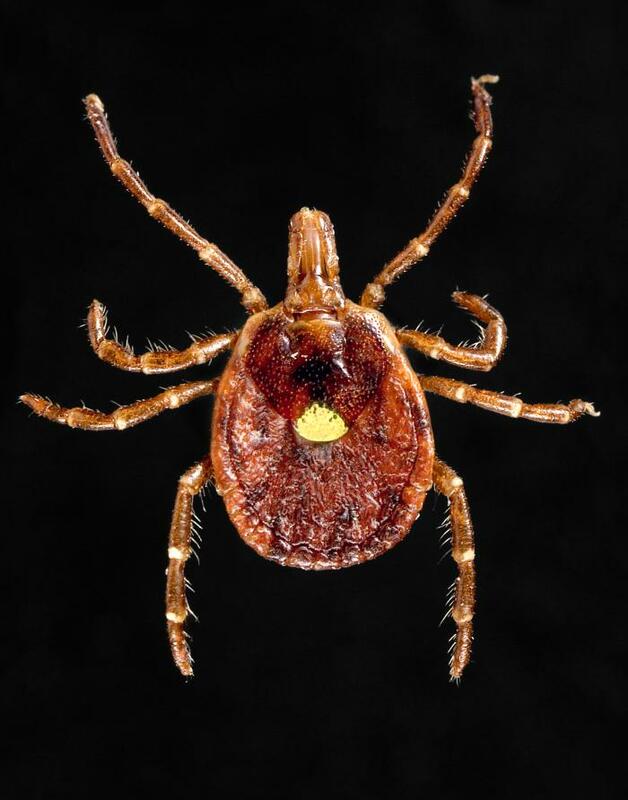 Symptoms of tick infestation include an inflamed nodule at the site of tick attachment, tick paralysis, and signs of tick-borne disease such as Ehrlichiosis, Rocky Mountain spotted fever, and Lyme disease. 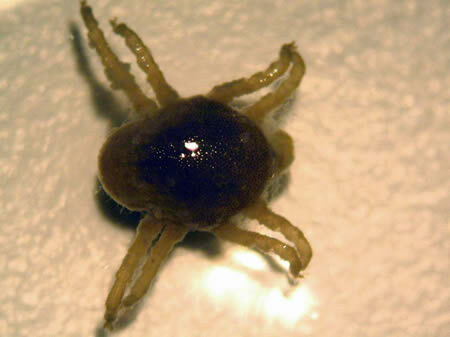 Tick paralysis is an acute rapidly progressive paralsysis that is due to a salivary neurotoxin produced by Dermacentor spp., Amblyomma spp., and Ixodes spp. ticks. Ehrlichiosis can be transmitted by A. americanum, I. scapularis, and R. sanguineus. This can be a zoonotic disease. Rocky Mountain spotted fever can be transmitted by Dermacentor andersoni, Dermacentor variabilis. This is a zoonotic disease. 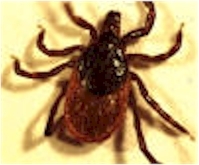 Lyme disease can be transmitted by Ixodes spp. This is a zoonotic disease. Tick infestations are preventable and treatable. Many products are available for your dog or cat.